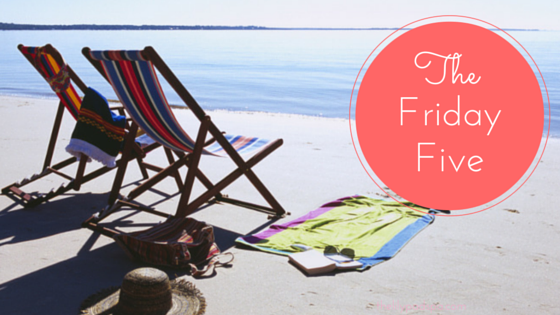 Confessions of a Book Addict: Friday Five (26) and a Giveaway! Friday Five (26) and a Giveaway! 1. 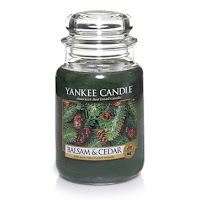 Balsam and Cedar - We have a fake Christmas Tree and I've always been a fan of fake trees, but I miss the crisp scent of a real tree. Thankfully, my favorite candle does the trick every year. It's smells exactly like a Christmas Tree farm. 2. End of 2015 Book Goals - I only have a few more review books for 2015 that I'd like to finish, but then it's up to me regarding what I want to read for the rest of the month. Two high up on my list: Code Name Verity by Elizabeth Wein and Drums of Autumn by Diana Gabaldon (I MUST FINISH IT! I am halfway there.) What books do you want to read before the year is over? 3. 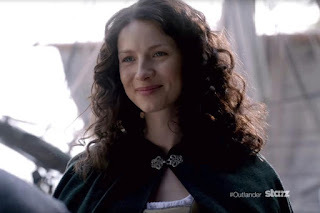 Outlander Season Two - Have you guys seen the new trailer? Check it out here. I.can't.wait. 4. 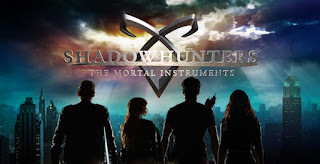 Shadowhunters on ABC Family - I am a huge Cassandra Clare fan and I love her Mortal Instruments series, but when I saw the recent movie, I was thoroughly disappointed. I am hoping this TV show will do the series justice and so far, I think the casting is a lot better than the movie. Will you guys be watching this January? 5. 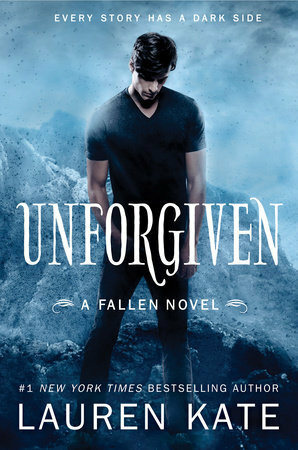 A Giveaway - I am giving away two really great YA books today: Unforgiven by Lauren Kate and Made You Up by Francesca Zappia. 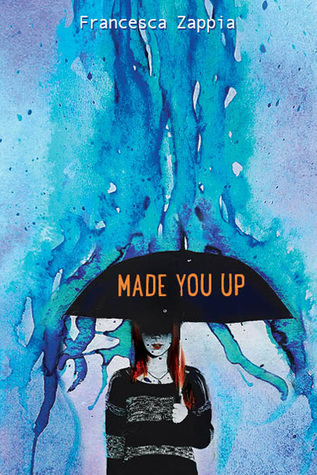 Made You Up is on many "Best Books of 2015" lists! 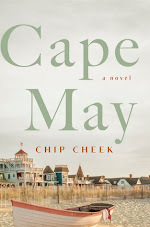 The giveaway is open to US readers only and the deadline is December 14th. Good luck! We're fake tree people too Christina:) I like to leave my tree up for some time after Christmas, and a fake tree just makes everything so easy. Must try that candle though, because I do miss the smell. And YAY Shadowhunters! I was disappointed in the movie too, but I'm hoping this is going to be a Buffy-type situation where the movie was no good but the show was amazing. I think this series suits a TV format, so fingers crossed! Me too, Jenny. The candle is great...definitely recommend it. YES! I hope the TV show is a Buffy situation as well. I am hoping it works out. Thanks for visiting! I am so behind on reviews. I'm sure I won't get through everything I should be reading but there are books that I want to read from the library so I may prioritize those. I hope to read How to be Brave. I've heard it is excellent. I also want to read Star Wars: Lost Stars by Claudia Gray before the new movie, Illuminae and Their Fractured Light by Amie Kaufman and Meagan Spooner. I will have to check out that candle, Christina. I enjoy Bath and Body Works candles as well. I hear you- there's so much I want to check out before the end of the year. I can't wait to hear your thoughts on How to Be brave and Illuminae. Thanks for visiting! I love Pine scented candles, I have one from Glade which I really like. I just did my first Friday 56, and will be looking forward to next Friday.I want to read Diana G, I have seen many good things of her books. Me too- such a great smell for the holiday season. 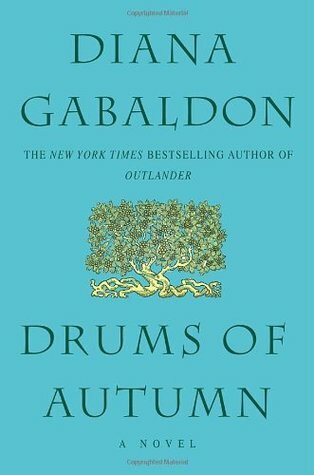 I definitely recommend Diana Gabaldon's novels if you enjoy romance, adventure, and time travel. Outlander is fantastic. Thanks for visiting, Joann. I am looking forward to the Shadowhunter series (even though I don't really like the book series...I only read about half of the Mortal Instrument series and couldn't get through the last book of the Infernal Devices one...I know. I know.) I also seriously need to read Code Name Verity. It has been my TBR list for YEARS. I liked Infernal Devices better than Mortal Instruments...you should definitely give it a try. I haven't finished the Mortal Instruments series either. 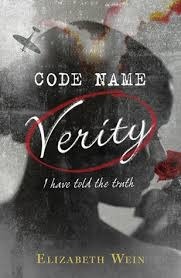 Code Name Verity was definitely a moving book. I hope you get to read it soon. 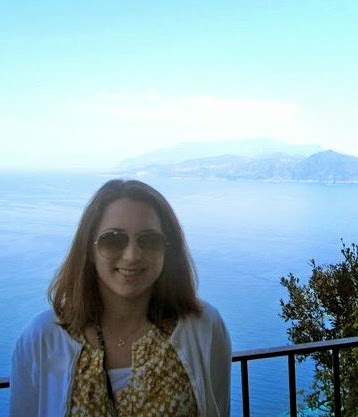 Thanks for visiting, Natalie!